Zhukovsky (Russia): Russia will always be India's strategic partner despite New Delhi's growing ties with countries the US, France and Israel as there are certain defence products and technology that "no one else will give" except Moscow, a top Russian official has said. Sergei Chemezov, Chief Executive of Rostec State Corporation, said cooperation with India will continue, even if India works only with Israel, France, the US and other countries. "We have our own niche; these countries have their own directions for cooperation. Therefore, this does not mean that if India will work with some other countries, cooperation with Russia will cease. No," Mr Chemezov told reporters during Russia's top air show MAKS 2017 in Zhukovsky, 40 kilometres from Moscow. "There are defence products and technology that no one else will give except Russia. Therefore, Russia has always been and will be a strategic partner of India," he said. Rostec Corporation, one of the main organisers of MAKS 2017, which was held between July 18 and 23, showed the latest hardware in the space, aircraft and helicopter engineering sectors. "I would like to note that Russia is the only partner to fully transfer manufacturing technologies to India, allowing Indian defence enterprises to set up full-scale production of their own defence products," said Mr Chemezov, who heads Russia's umbrella organisation of 700 advanced civilian and military firms. India and Russia have been running a long-term military and technical cooperation programme; the current phase covers the decade from 2011 to 2020. Russia has been one of India's major suppliers of arms and ammunition. 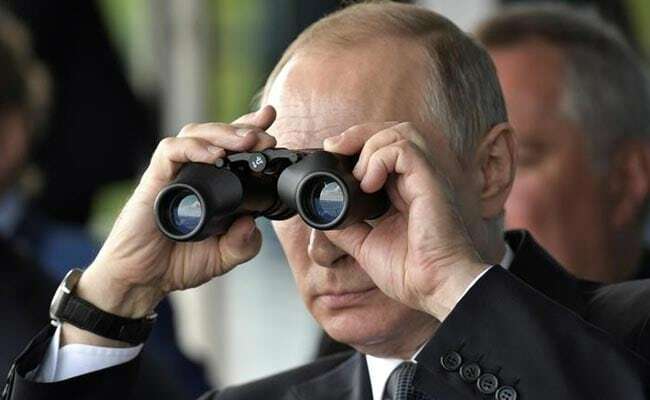 However, India has said Russia takes a long time in supplying critical spares, which affects maintenance of military hardware bought from the former Cold War giant. India's defence ties with the US and Israel have also deepened in the last few years. Last year, the US designated India its major defence partner, and Prime Minister Narendra Modi, who went to Israel recently, was the first Indian prime minister to visit that country. India also inked a multi-million dollar deal with France last year to buy 36 Rafale fighter jets. Mr Chemezov said a bulk of Russia's exports go to Southeast Asia, India and China. "They are our two major partners. Every year we supply products to India for more than $2 billion. Sometimes it is more. Therefore, we have about the same volumes last year as before. That is, there are changes, but insignificant, somewhere in the range of 10-15 per cent is the fluctuation," Mr Chemezov said. "With regard to cooperation with India, it is aimed not only at selling products, but we are also transferring technology. It began with the late 90's with the sale of licences for Su-30MKIs (Sukhoi-30MKIs)," he said. The head of Rostec State Corporation said 40 per cent of weapons and military equipment of the Indian Army, 80 per cent of the Indian Air Force and 75 per cent of the Indian Navy have been manufactured by the former Soviet Union and Russia, or produced in India under the Soviet and Russian licences. "I would like to stress that India is a privileged strategic partner of Russia. Despite the tough international competition, we demonstrate that the military and technical cooperation between Russia and India does not only develop stably but also deepens," Mr Chemezov said. He said Rostec's strategy was to expand cooperation with Indian manufacturers in compliance with the Make In India programme. On opportunities for joint military exercises, Russia's Deputy Minister of Defence Yuri Borisov, at the same briefing, said, "We are always in contact with our Indian colleagues. We have an intergovernmental commission. On our side it is headed by our Defence Minister Sergey Shoigu. We constantly meet and discuss issues." On Western nations' sanctions against Russia, Mr Chemezov said, "I think that in one-two years we will close our needs for components that we bought from abroad. As a result, who will suffer? Our partners with whom we once worked, from European countries, from Ukraine, will suffer." "As for Europe and the West, we had excellent relations with Safran, Thales, Boeing, Airbus, General Electric, with them we had joint ventures. Some of them continue to work independently of sanctions. Nevertheless, many partners wanted to continue work with us. Unfortunately, because of the sanctions, they cannot do this. Life forced us to develop our industry even more, the result you can observe today," Mr Chemezov said.